From his sickbed, the man with a skeletal jaw is busy praising the literary work of one of America’s most iconic racists—author H.P. 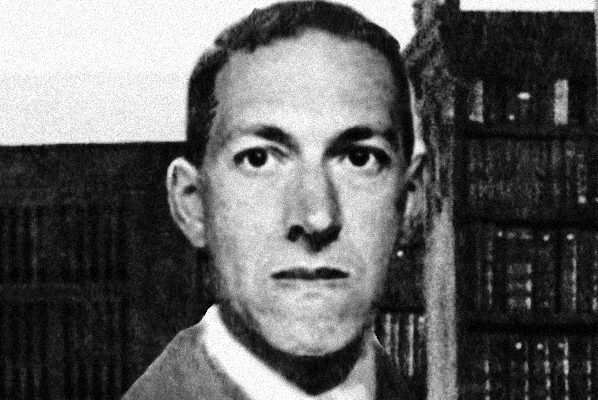 Lovecraft, creator of Cthulhu and widely credited pioneer of the horror fiction subgenre which emphasizes the fear and dread of the unknown. The man is a self-described ‘Lovecraftian Academic’ who has spent the last three years developing a library app to make Lovecraft’s work more widely accessible. He is also one of many art enthusiasts who considers politically correct whitewashing counterproductive to the unruly, often ‘un-politically’ correct sentiment which produces great art. “For Lovecraft,” he says “it was his fear of everything that wasn’t white male privilege which enabled him to write stories that translated so well into horror.” Mightier literary critic Jed Mayer and author of ‘The Age of Lovecraft’ agrees. Lovecraft’s work, he writes, was shaped by racism, it was intrinsic to his art. How do we deal with the great art from artists with vile attitudes, especially when that art has been shaped by their own dark humanity? As the favoured continue to fall from their pedestals, a recent interview with Kevin Spacey’s brother syndicated in the British tabloids claims that Kevin’s abusive childhood shaped the realism of his most celebrated psychopathic roles–“when he plays sinister characters he’s just being himself.” Yet no one can dispute the provocative complexity and macabre finesse of Kevin Spacey’s villain in Seven, which won him the MTV Movie award of the year in 1996, or the Academy Award for Keyser Soze. More recently accolades have been heaped upon the Netflix series House of Cards, where he plays a ruthless, power-hungry politician and killer. The art is authentic and powerful. Would a world without such art be better or worse off? Lovecraft lived at the turn of the nineteenth century, but his work is still very relevant, as almost 27,000 reviews on Goodreads for “The Best of Lovecraft” can testify. Though Lovecraft died at forty-six from colon cancer, his divisive views and monstrous visions have influenced countless artists like Hans Ruedi Giger, designer of the Alien film sets and are cited as inspiration by modern day horror writer Stephen King. Without Lovecraft, their work may never have existed—at least in its present form. Love for Lovecraft, says the Lovecraftian Academic, means a love for humanity with all its flaws, and by extension an expression of self-love. “Lovecraft was beset by demons that were par for his course, for his kind of prejudices, and he kind of found some kind of outlet, some kind of area where this became a strength.” But those who appreciate Lovecraft have a century of perspective which provides a less charged reaction on this–one of the most contentious modern day dilemmas. Perhaps this man’s opinion of Lovecraft, is how we will look back on the work our recently fallen and falling idols, even as we condemn the acts which have brought them infamy. Lovecraft was, as our grandmothers might say, of his time. But his anti-Semitism, fascist sympathies with Hitler and racism were extreme even among his peers. When the World Fantasy awards discontinued the bust of Lovecraft as a trophy in 2015, Indian born S.T. Joshi—Lovecraft biographer and a winner of two awards himself—condemned it on his blog as a move to placate ‘the shrill whining of a handful of social justice warriors,’ even though a fellow award winner, Nnedi Okorafor—the first Nigerian American to win the World Fantasy award in 2011—had long since written on her own blog, that she felt furious and conflicted about the honour. One of her greatest awards as a writer was represented by the statuette of a ‘racist man’s head’ in her home. If we discount art as society’s moral goalposts achieve greater consciousness and we risk losing valuable lessons contained in works by countless damaged artists. For many, the answer is to separate the art from the artist, after all once artists fade into obscurity their art enters into the public domain. But since art is also so often an expression of the artist, this still seems morally challenging. Journalist Randy Cohen, who writes for the New York Times magazine The Ethicist, calls it, the ‘Woody Allen quandary’. The Lovecraftian Academic faces no such quandary; he chooses not to choose. Indeed, in front of me an entire bookcase of biographies, analyses and tributes is lovingly curated, a visible altar of homage topped with candles. One reason for this man’s seemingly amoral stance is that the flawed humanity of the creator speaks to our souls. He believes not only is it impossible to separate the art of the artist, but that to do so, renders the value of the art meaningless. Such vileness must be overtly displayed, showcased even, for the good of mankind. But his fanaticism has a deeper motivation than simple self-recognition; Lovecraft’s writing and overt racism saved his life, he says, when at thirty years old, he was given five years to live. Or more precisely, it made the rest of his short life span bearable. Such a controversial act of self-love and acceptance has brought him a sort of stillness before the final deliverance. “I thought if even Lovecraft could achieve greatness, why not me?” Still this explanation comes out hesitantly as if he is fearful of judgement, after all, the Lovecraftian Academic is not dead yet. But he is reconciled to his fate–it’s not a bad thing he feels, to want to die and be over with life but right now he’s still alive, sitting here talking to me. And the world still judges. Unlike many who argue to love the art and hate the artist, this man doesn’t attempt to disguise his own moral failings. He reveals that he himself is racist, something he attributes to an early experience of bullying by some “foreign looking kids.” He knows it’s wrong, he doesn’t like it, but that doesn’t mean he has been able to overcome his gut feeling. Instead he accepts responsibility for his actions— which he strongly adjudicates—instead of struggling with what he considers the futility of trying to change formative feelings. When he was first diagnosed, the pain of an unfulfilled and interrupted life drove him to mindless drinking, violence and excess, “I remember waking up one morning and I’d spent a shitload of money the night before. And I remember like laughing because what did it matter? I’m not gonna be here for many more months”. Then in a period of self-loathing, he tried to commit suicide. But pop culture education on how to do so proved embarrassingly inept. After a quantity of paracetamol and halfway through the second bottle of vodka, it occurred to him that this particular route to liver failure and oblivion might be extraordinarily painful. In depression and during his subsequent recovery, the Lovecraft community, via forums and podcasts became a rock to cling on to. So instead of precipitating liver failure through alcohol pills and partying, he committed to using his last years more productively. His purpose? To make Lovecraft and his work more digitally accessible so that “maybe one other person would find the rock they could hold on to.” So that others can understand that failure is a human birthright, but that the darkness in our souls can and should be brought into the light. Now thanks to the Lovecraftian Academic, there’ll be an app for that. Let the great art stand, but let its legacy also be vile exemplified. Perhaps it is also not fair to condemn the work of a man whose life was interrupted. One of most asked questions by S.T. Joshi and other cosmic horror scholars is whether Lovecraft’s softening attitudes in later life might have prevailed over his extreme racism and xenophobia. Of course there’s no way of knowing. More mature work shows greater perspective—the supernatural brutes which figure in “At the Mountains of Madness” published in 1936 shortly before his death, were revealed to be alien scientists rather than mere horrific murderers; they killed and dissected humans just as humans kill and dissect lab rats. A reflection of ourselves. Whether more maturity would have enhanced Lovecraft’s fame though is debatable, because for his fans, the gift in his writing is its harsh realism. The extreme cognitive dissonance brought about by great art inspired by the vile side of humanity, forces us to accept that our heroes are also our villains. They are our mirrors. The Lovecraftian Academic was forced to accept that in his own interrupted life, he wouldn’t have the opportunity to achieve much of what the world calls success, nor a chance to make amends for his failings. But unlike Lovecraft, he was given five years to reflect on this. He wants his own legacy to help ruthlessly expose and confront the vile in all of us, but especially in those people whose work the world just can’t help but admire—the great artists.